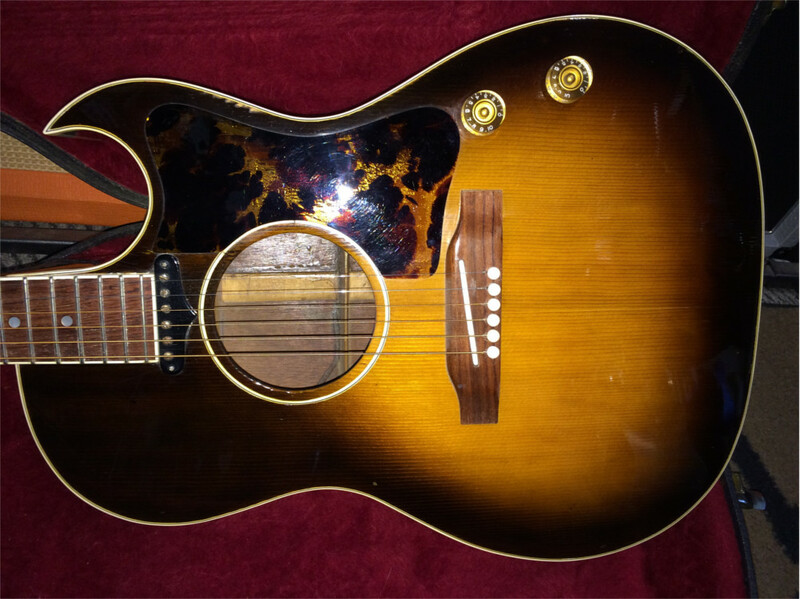 This is an original very rare and hard to find 1951 Gibson CF-100E Electro Acoustic. 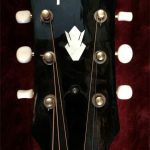 The Gibson CF-100 was only available between 1950 and 1959, this was the first Gibson flat top with a cutaway (in a Florentine design) and the body dimensions are also the same as the Gibson LG series. 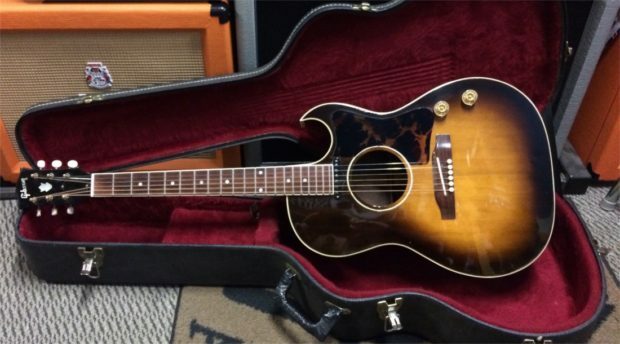 This is a superbly crafted all solid wood acoustic guitar with X-bracing. 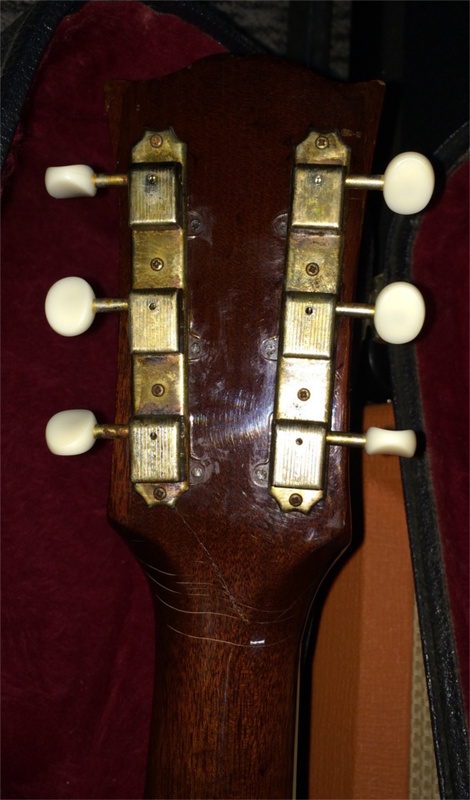 It features scalloped top braces and tall, thin back braces. 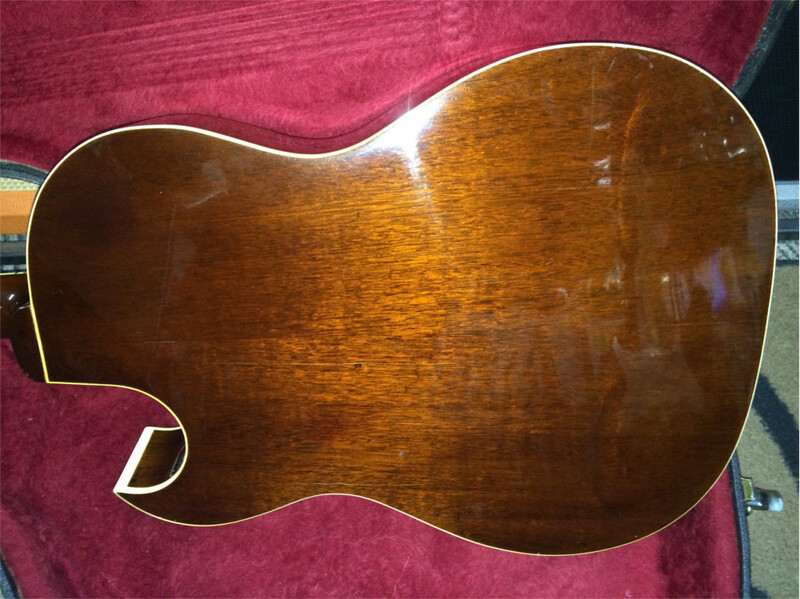 It also features a gorgeous Cremona Sunburst Spruce top with Honduras Mahogany back & sides. 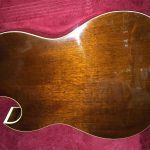 The Brazilian rosewood fingerboard is complimented by white binding and is in nice condition, it has 14 frets to the body and 20 frets in total. Gibson produced two versions of the CF-100. The Standard Acoustic CF-100 was introduced in 1950 and the Electro Acoustic CF-100E followed in 1951. 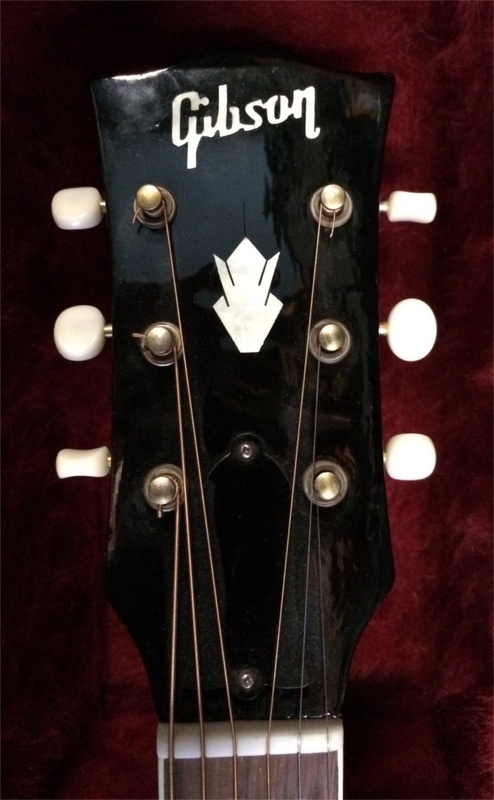 The “E” stood for Electric and included a Gibson P-90 pickup mounted close to the end of the fretboard. 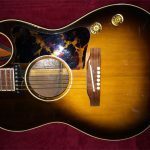 The Gibson P-90 singlecoil pickup produces a nice rounded warm tone, both acoustic and jazzy and stands up well against the modern pickups of todays Acoustics. This Gibson CF-100E is a unique sounding instrument. It produces a full bodied surprisingly big sound with great projection both acoustic and amplified. It is in excellent condition and is exceptionally clean for its age. 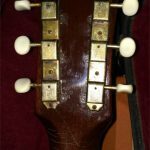 There are a couple of well repaired back cracks and a hairline crack on the headstock, but these have been checked over by our guitar luthier and are nothing to worry about. It also comes with a hard shell case of a later period.